Rocker: 48" long; Weight: 70 lbs. 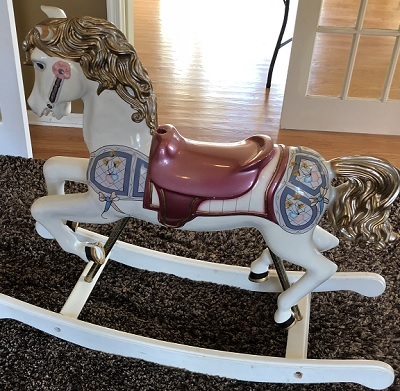 This is a 1984 carousel style rocking horse made by S&S Woodcarvers. 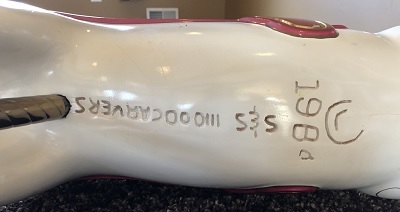 My grandfather bought this beauty for my sister when she was born so we've had it forever. 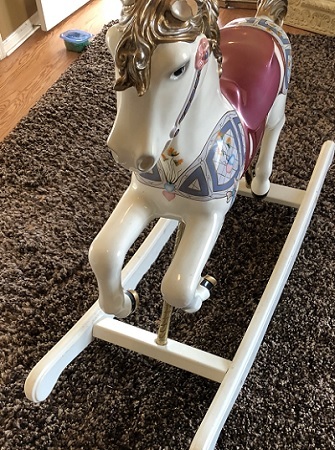 Now that were moving it's time for this rocking horse to go to a new home. 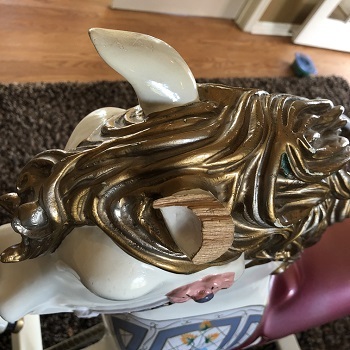 The asking price is due to the broken left ear and missing center brass pole (all defects and details are clearly visible in the images). 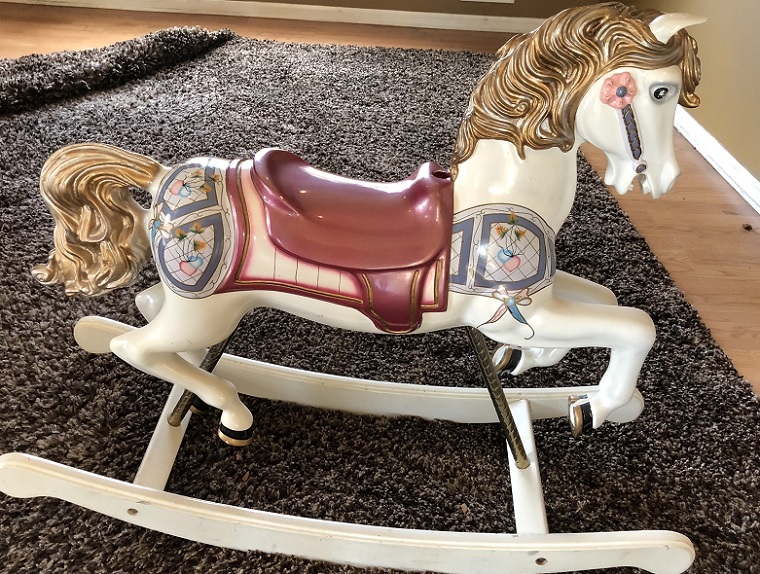 This rocking horse still has lots of life! It takes up residence in Brick, NJ - perhaps you can pick it up and save money on shipping.